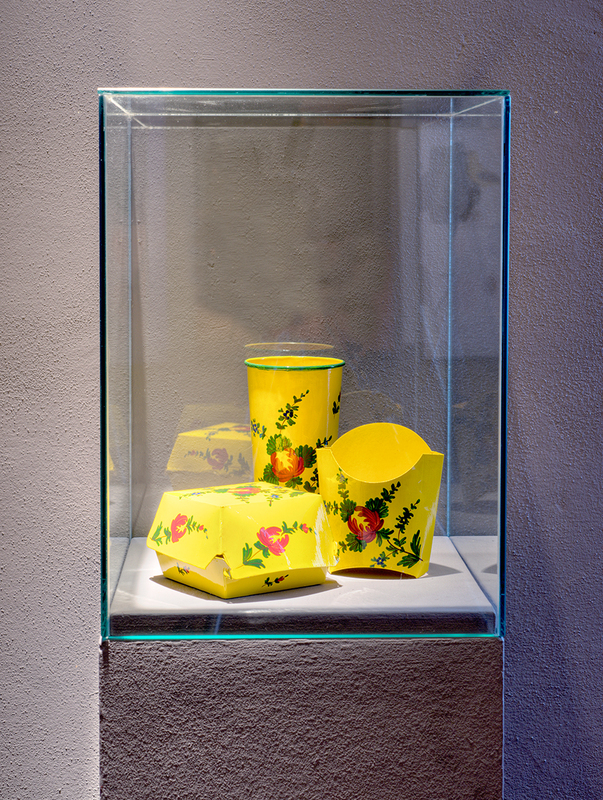 In Imola, a town in northern Italy, ceramics is the primary craft. The traditional products from the local factory vary from tiles to the usual kitchen tools: plates, cups, bowls and jags. 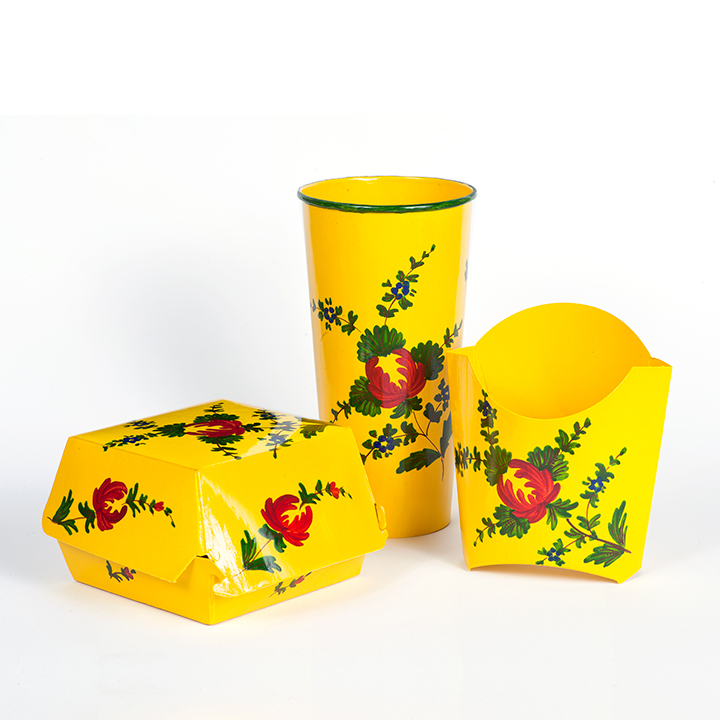 The “Giallo Fiore” (Flower Yellow), a pattern from the 20th century, is the most popular decorative motif and has become an icon in the local tradition. In recent years, due to the economic crisis, most employees at the factory have been made redundant. During Residenzamuseo 01, a self-initiated residency programme in Imola, I made contact with one of the ceramic artists employed at the factory. Eventually, we started a conversation that brought us to collaborate on this project, where the old technique, risking extinction, was slowly applied to the disposable packaging of famous fast food company.